I received an email from a woman recently that brought tears to my eyes. It brought me back to a time, not so long ago, when I felt viewed upon by others as a fat, disgusting pig. I felt like maybe people saw me as an unintelligent nobody who chose to look like and feel like this. The thing is, if you’ve never had an issue with weight gain – it is very hard to understand how it gets “that far”. For me, my excessive weight gain was triggered by emotional over-eating after I suffered a miscarriage, I continued with the bad eating habits once I got pregnant and used the pregnancy as an excuse to let it spiral out of control. Everyone has different reasons for how they reached the place they are with food, but unless you know (or understand) the in’s and out’s of it – you really shouldn’t judge. The woman wrote about times when she would be out shopping and people would just stare at her or look her up and down like she was a piece of dirt. She was asking if this was normal and if it happened to me? The email went on to say that the woman was getting to the stage that she didn’t want to leave her house any more. The more upset she got the more she ate and the more time she stayed in doors the more she ate too. It was becoming too easy to eat; home delivery for take-aways and home delivery from Tesco. This brought so many memories flooding back for me. I remember walking through a shopping centre one time with William in the buggy, two ladies were walking past, I was doing my usual leaning over the buggy talking to a 3 month old William to avoid having to make eye contact with anyone when I overheard one of them comment “did you see the size of her? !” and looked back over their shoulders at me and gave me the usual look of disgust. Now these weren’t teenagers, these were women in their late thirties – early forties so they should have known better. I pretended not to hear – pretended to continue to have my riveting conversation with my 3 month old. Thinking back now they weren’t all that skinny themselves but at that time, everyone was skinny compared to me. I was so upset after that I went back to the car, left the shopping centre and went straight home. I cried and cried and cried all the way home. I told my husband (Gerry) and he tried his best to comfort me but unless he was standing in my shoes there was no way he would know how I was feeling inside. That day everything went through my mind. I couldn’t understand how or why people could be so mean. How could they stand there and be judge and juror and automatically think I was any less of a person than they were. I can honestly say that day was one of my worst emotional days ever. I think I cried all day and night and it took me an awful long time to get over it. I had already started my weight loss journey at this stage so after that day it seriously knocked me back. It was like they had just ripped my heart out. It’s something I will never forget. Maybe it’s my problem and that I don’t judge people straight away. Maybe I should be tougher skinned and just ignore people who aren’t “nice” but I can’t. As Gerry says, “your just too nice”! 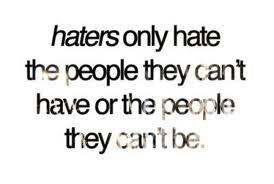 It came back to the same old thing again, people just judging others without knowing the facts! I actually never started running until after I had hit my goal weight in March of last year after losing over 7 ½ stone. I am now a club runner and run for Parnell Ac – I joined just at the end of last year. I have won prizes and have come 3rd in 2 half marathons and 3rd in two road race championships and have more recently came 5th in the Kildare Marathon which had some seasoned marathon runners taking part. The Dublin Marathon last year was the first time I had ever run a marathon and the furthest I’d ever ran and I did it in a time of 3hr33mins. There are a lot of men who couldn’t run that time. I ran 3hr24mins in the recent Kildare marathon. Now I may not be Olympic standard, but I would still represent a huge amount of people running…….the majority of runners are NOT elite runners……but at some stage the next generation might be. All these mum’s who have lost weight and getting out and having fun running, getting fit – and maybe even getting the odd little prize in a local race might have children who go on to be the next big thing – making a change for the future generations is surely a story worth covering? Encouraging “normal” people to get out and get active, encouraging a lifestyle change which will change their children too. Since the recent Irish Runner magazine was published I have been inundated with emails from women (and the odd man or two) from all over Ireland saying that they thought that my story was similar to their own and to thank me for sharing my story. Others from people who were only beginning their weight loss journey and saying that I was an inspiration to them. Some from people who just happened to pick up their partners copy of the magazine and though wow a normal person on it for a change and almost all were taking up running! I think I may have lost my train of thought a little here ha ha…….. I guess I am just trying to say that no matter how hard you try in life, there will always be somebody there who will be knocking the wind out of your sails. Try not to judge people guys, most of the time those snap judgments’ are probably completely wrong! Even now I get people saying – “oh its easy for you, you’re so slim – you don’t know what its like to be overweight” people make a snap judgment that because I’m slim now – that’s how its always been. Yes it is easier now, and I enjoy life more than I did when I was overweight – but I still have to work hard to keep it. Since I hit my goal weight I made a promise to myself that I would try and make as many people as possible feel the way I felt that morning. Hitting your goal weight after so long, after so many emotions and heartache – you really will not understand until you have done it yourself. This is the reason I went back to college to study to be a personal fitness trainer so I could give people the best advice. 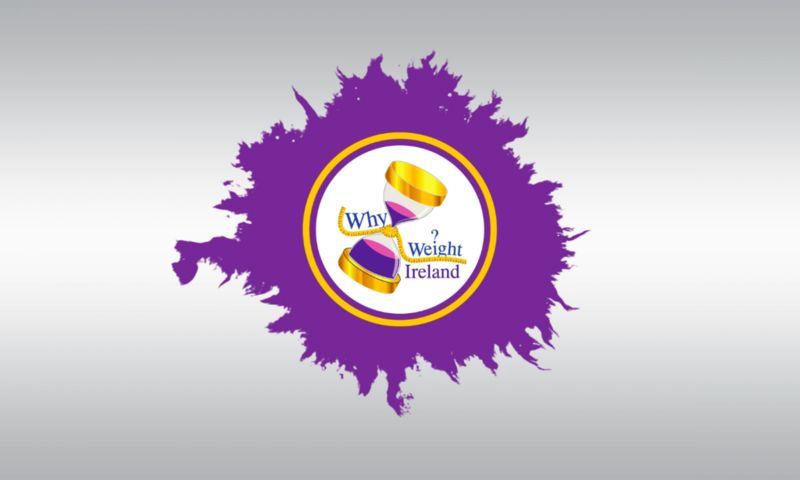 This is why I set up Why Weight Ireland, so I could help anyone who wants to lose weight and get that feeling for them selves. For people who have never been over weight (which is actually the minority now) we don’t become over weight on purpose. We don’t wake up one morning and say; “hey I think I’ll be over weight today”. No, it’s not always down to genetics and hormones. And yes we try very hard to lose weight. Don’t judge a book by it’s cover and next time you see someone who may be over weight, try looking in their eyes and see how they are feeling. Maybe next time you might say Hi. For all of you who are already on your weight loss journey – keep going. You will have ups and downs but in the end you will never look back. For all of you who are thinking of beginning your journey – go for it – you won’t regret it.